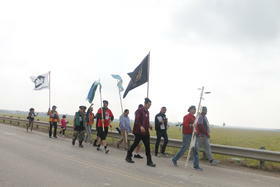 Some people came as far away as Ohio and South Dakota to march with men, women and children condemning the wall project in Hidalgo County. Construction begins this month in Hidalgo County. On Monday, protesters gathered in Mission, Texas to march against the wall. About 40 people, including members of the Carrizo/Comecrudo tribe, gathered in front of a white church in Mission in Hidalgo County. Some held flags representing their tribes. And not all were Texans. Some traveled to Mission from as far away as Ohio and South Dakota to join the demonstration. Native Americans in the Mission region see the project as a threat, first and foremost, to their cultural and spiritual history. Juan Mancias, tribal chairman for the Carrizo/Comecrudos, said his people once had villages all along the Rio Grande. Ava Leal walked hand-in-hand with her 9-year-old daughter. Her husband carried their other child. They saw this event as a learning experience for their children. The Leals said they've lived in the Rio Grande Valley for more than a decade. Ava Leal is a member of the Haudenosaunee (High-Den-In-Show-Nee) tribe, and her husband is with the Carrizo/Comecrudo tribe. Kat Christen was one of the non-Texans at the protest. 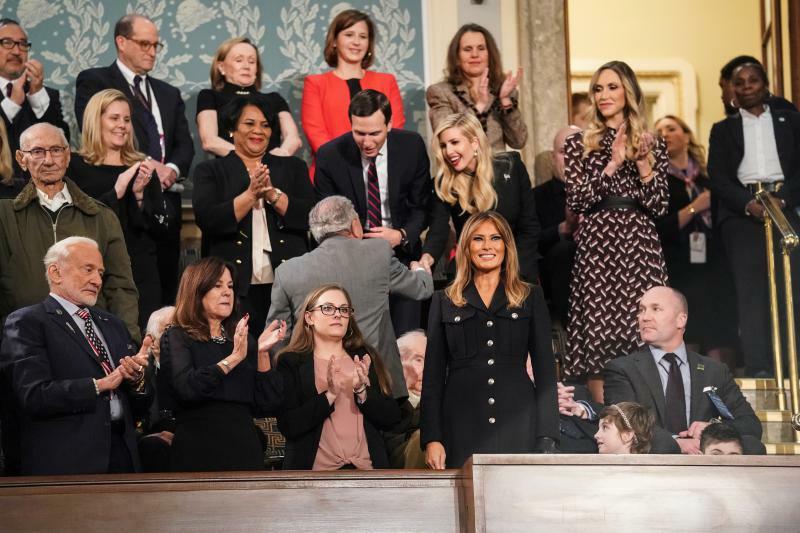 She is from Ohio, where she'd seen Mancias give a speech. She said he inspired her to travel to the Valley to understand the situation for herself. “We’re just hearing such a different story up north," she said. "There’s like a lot of fear around it, kind of justification for things when I get down here are not actually happening and that there’s not really a need for a wall." The demonstrators prayed and sang songs, and then they marched three miles to the National Butterfly Center. Protestors fear the new wall will run right through this 100-acre wildlife preserve, leaving more than half of the butterfly center’s land on the other side. Marianna Treviño-Wright, executive director of the National Butterfly Center, said a law enforcement officer said they would no longer have access to their land south of a levee that runs through the Butterfly Center’s property. She said she was also informed that, effective Monday, all of this was federal land, which surprised her. "Obviously the officer does not know what he’s talking about because we are private property," she said, "and the levee sits on private property." But, she added, the confusion doesn't surprise her. She’s had trouble learning from government and law enforcement officials about what exactly is going to happen on her land. She said she filed a lawsuit against the federal government, but it’s gone nowhere. The marchers ended their procession at the top of a levee at the Butterfly Center, and they sang and prayed again. Mancias, the Carrizo/Comecrudo tribal chairman, said he plans to build camps all along the construction site. 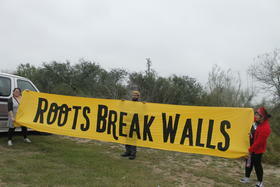 The contract to build this section of wall was awarded to a Galveston-based company last fall. According to Customs and Border Protection, it will be concrete and topped with with 18-foot steel poles. One hundred and fifty feet of of land will be cleared on either side. 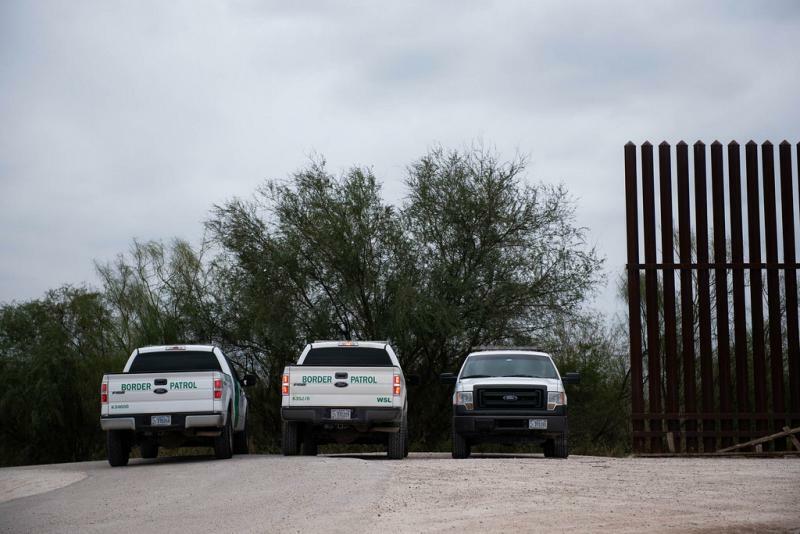 Customs and Border Protection did not immediately respond to Texas Public Radio’s request for comment on the construction timeline for the wall or about Mancias’s concerns over the preservation of any artifacts unearthed during the project.